Ah, the 5 year plan. For those of you that are new around here, here’s a quick re-cap: back in September I quit my job and decided to go back to school…for 5 YEARS! Yes, it took my to the age of 31 to figure out that what I really wanted to do in life was to be a physical therapist. And apparently they need to go to school for a looooong time, hence – The 5 Year Plan! Done! I completed my yoga teacher training in December of 2012 and have been teaching a few yoga classes since then. Being certified as a yoga teacher is a great tie in with going back to school for physical therapy since it gave me a bit of a foundation in anatomy and many of the stretches and exercises used in physical therapy are yoga poses! during my PT observation hours! Being a Mass Communications major there are A LOT of science pre-req classes I need to take to apply to a DPT (Doctorate of Physical Therapy) program. I also need to take the GRE’s and do observation hours in a physical therapy setting. I’m hoping to be ready to apply to programs this winter to begin in the summer or fall of 2014 (depending on the program). I took 3 classes this spring (Bio I, Chem I and Psych), I’ll be taking 2 this summer (Bio II & Statistics) and then I’ll be taking 4 classes this fall (Chem II, Anatomy, Physics I & Psychology) and the remaining 3 (Physiology, Physics II & Math) in the spring of 2014. Different schools require between 50-100 hours of observation time in a physical therapy setting just to apply to the programs! I really want to do everything I can to make sure I get into a DPT program so I’ve set a goal of 150 hours for myself. This has been an interesting experience so far – separate post coming soon on this one! I’m planning on studying for this over the summer (beach reading??) and taking it in fall. I’m about 8 months into the 5 year plan and off to a good start! Congrats on everything you’ve already accomplished in your 8 months! 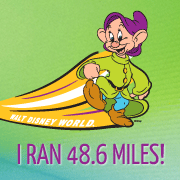 Keeping going! You totally got this. Thanks Abby, now that I’ve gotten the first semester of classes done I really feel like I can do this…that first semester of being back in school after working for so long was what had me the most nervous! Awesome job so far! 🙂 We do the pigeon pose in CrossFit all the time to stretch out, but yours seems more “legit”. 🙂 My bent leg is at too much of an angle I think. I’ll have to try to straighten it out like yours is next time! 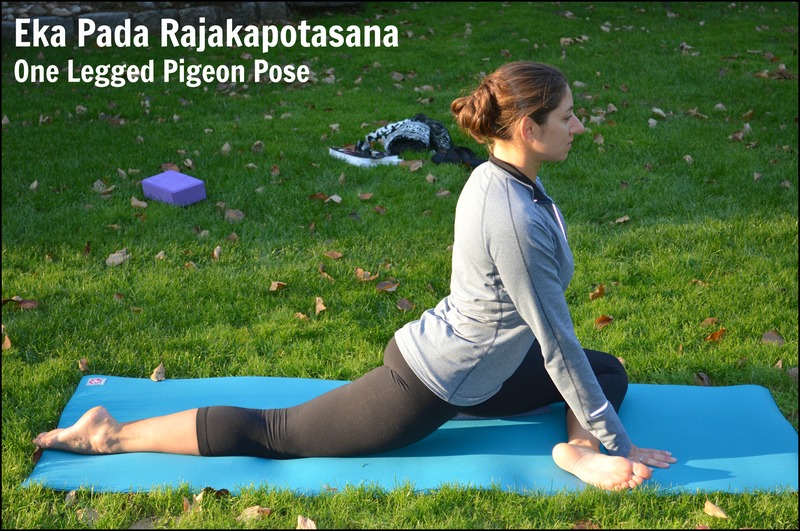 Haha, trust me, my pigeon pose was TERRIBLE before I started my yoga teacher training because my piriformis was so tight from running, but practicing 3 times a week has finally loosened it up! Exciting! My husband’s a doc and he’s been saying for a couple of years I should train as a physio because I love anatomy so much. But I reckon I’ve done plenty ‘school’ for now! I’m loving yoga teacher training though. Good luck with the five year plan…And check out Judith Hanson Lasater’s work if you don’t already know it – she is a yogi and PT. My yoga teacher has studied with Judith Hanson Lasater and talks about her often, I’m not sure I know she was a PT though! Thanks so much for sharing, I’m definitely going to look into some more of her books! So impressed that you have a 5-year plan! It’ll fly by before you know it. Exciting that you’re following a dream. 8 months down is almost a year. Yay! Thanks Karla! It was SUCH a hard decision because 5 years of school is just crazy, but I really wasn’t happy at my old job so I figured I had to give it a try! Haha, trust me, I never knew what I was doing 5 days ahead of me either, but to do something this huge I really needed to be organized and have a plan! PT is something I had through about for awhile and finally I realized I needed to make a change! I am cringing over your class schedule – science was not my favorite. 🙂 Great job so far! You’ll be a year in before you know it! 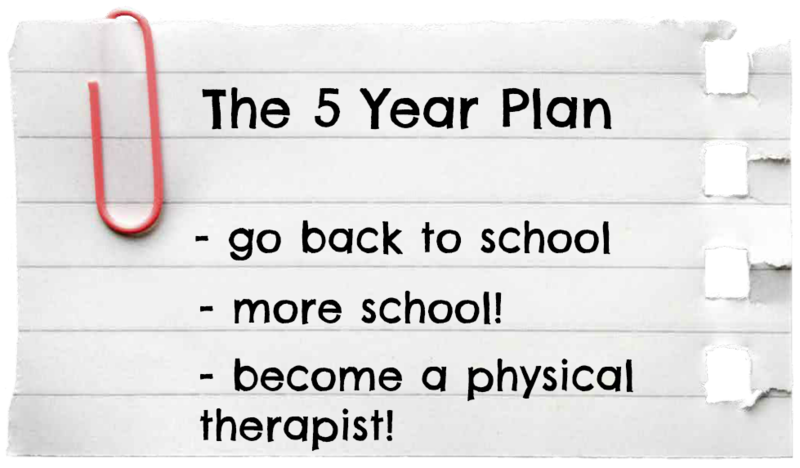 So funny I totally did the 5 year plan too! I’m telling you, so worth it! Good luck ;).